There's already a lot of noise coming out of the Consumer Electronics Show in Las Vegas, even though the actual event hasn't yet begun. It seems almost every company will have at least some sort of representation present in Sin City. Set-top box maker Roku will be there to unveil its plans for 2016. The company claims it has grown its smart TV market from zero to eight percent this past year. Now the company is telling us that it plans to upgrade its TV offering to 4K. "We are working closely with Dolby to implement support for Dolby Vision HDR into the reference design, which also includes support for the HDR 10 standard. 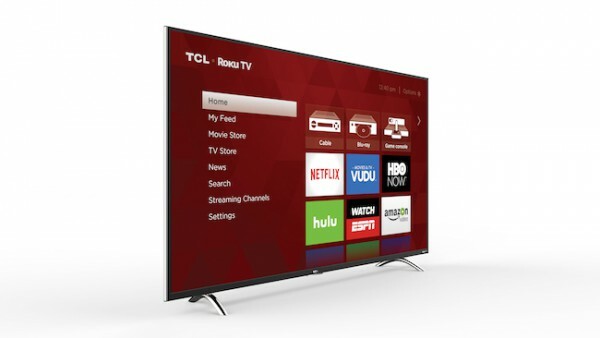 TCL will be an initial TV partner to integrate the Roku TV HDR reference design", Roku states. In 2015 more than 40 TVs were available, but Roku expects to up that number to over 60 this year. In addition, it's heading into more markets, including Mexico. The TVs were already available in Canada. "2015 was an incredible year for Roku TV. The success of the program and its continued momentum are bringing us closer to our ultimate goal of the Roku OS powering every TV! We’re excited to kick-off 2016 with some great CES announcements and can’t wait to see what’s in store for Roku TV this year", the company says. It's good to see Roku moving forward with this project and 4K is important to future-proofing its products. The new Roku 4 also has this capability.